The lakes and rivers surrounding La Mancellière are renowned for their excellent fishing and stunning scenery. 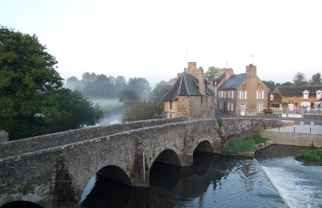 The world-class Sélune river is one of the last salmon rivers in France and 40% of all line-caught salmon in France is taken from the rivers and lakes of the South Manche region. 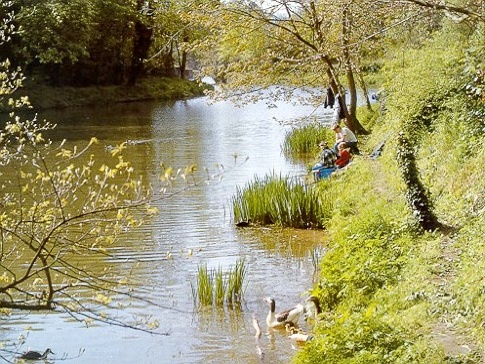 La Sélune, just 15 minutes drive away, flows from the bay of Mont St. Michel deep into the heart of the Normandy countryside and offers a rare opportunity to catch migratory salmon and brown trout. Tributaries of the Sélune top up the Roche Qui Boit and Vézins dams where you can fish for salmon, trout, pike, carp and perch in stunning lakes carved out of solid granite. Other rivers nearby include the Sée, the Airon and the Cance. There are also many beautiful man-made lakes and ponds designated for fishing at all levels and several rivers which are reserved exclusively for advanced fishing. Fishing is permitted from early March until late September. Permits are available from local shops and tourist offices and equipment can be hired from tackle shops in the area. Please ask us for more details regarding permit prices and equipment hire. La Roche Qui Boit – L’Autre Café. Relax after a day’s fishing at this quirky, cool café and bar on the edge of the Roche Qui Boit lake. The café is a retro mis-match of old comfy sofas and 60s furniture with cosy, private tables scattered outside under the stars. Browse the art gallery and brocante, enjoy a light meal and a beer and then chill out by candlelight with some laid-back tunes. Bands play regularly on the pontoon deck over the water. Open from 11am until midnight from May till late September.